If you need a large bag to carry your climbers, tower harness, helmet or any other PPE look no further! 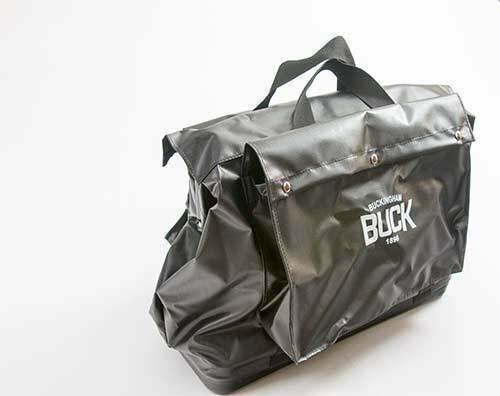 Durable vinyl coated polyester and a hard plastic bottom keep your gear dry even when the ground is wet. A simple bag with lots of storage, the Buckingham Equipment bag with Hd bottom features heavy duty rigid plastic bottom keeps the cost down and your equipment safe thanks to three snaps on each of the two outside pockets which measure 20″ x 5″ x 11″ and heavy-duty leather straps which keep the bag securely closed.